Co-presented with the Canyon Cinema Foundation. Introduced and co-curated by Susannah Magers and Tanya Zimbardo. In tribute to film legend Barbara Hammer (1939–2019), this program highlights a selection of the artist’s early films rooted in the Bay Area. 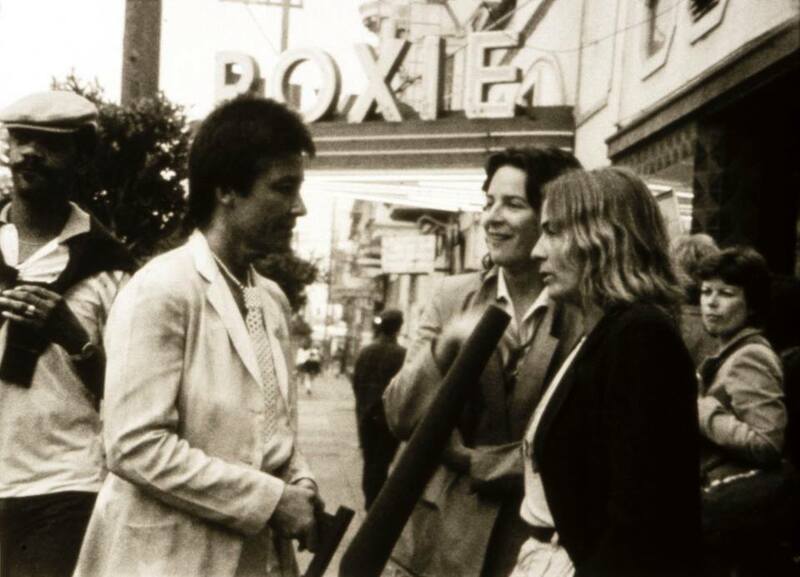 Shot at the Roxie Theater, the beginning of Audience (1982) features Hammer’s fun, flirtatious, and thoughtful interviews with the audience line before her tribute screening as part of that year’s San Francisco International Lesbian and Gay Film Festival. Recognized as one of the first lesbian experimental filmmakers, Hammer explicitly championed the perspective of women and the visibility of the lesbian and queer communities. As she observed, her work in the 1970s was “proselytizing my newfound place, my lesbian homeland.” In the witty Superdyke (1975), Hammer and an army of women take to the streets of San Francisco. The sensual and playful Dyketactics (1974) and Psychosynthesis (1975) feature Hammer as both director and subject. Hammer invites the audience into her films through exploring the connection of sight and touch, saying “it is a camera that goes to bed with me and another: a cinema of intimacy.” This program celebrates a body of Hammer’s work that epitomizes her joyful, unabashed experimental approach to self-representation. Audience, 1982, 16mm, b&w, sound, 33 min. Psychosynthesis, 1975, 16mm, color, sound, 8 min. Dyketactics, 1974, 16mm, color, sound, 4 min. Superdyke, 1975, 16mm, color, sound, 20 min. Preservation prints of Audience, Psychosynthesis and Superdyke made in 2018 available from Canyon Cinema. These films were preserved by Electronic Arts Intermix and the Academy Film Archive through the National Film Preservation Foundation's Avant-Garde Masters Grant program and The Film Foundation. Funding provided by the George Lucas Family Foundation.